Good afternooon my gorgeousneses......hope Monday is treating you well so far..and want to say a massive big hello to all my new followers so great you stopped by..i hope you enjoy my world...nothing on the cards (sory about the pun) today for me to go appoints etc so trying to ge these fat feet to go down and its not working...so gonna try and some housework..oh my!!! i have at least got the washing on and fed the cat..thats it so far hehe will do better..the ironing's piling up AGAIN!! !...so best i tackle that first while i still have a small amount of incline. Sassy Don't laugh when I saw this come up in my list I thought you had made a garter lol I had to look twice lol its a beautiful altered note book the lace is gorgeous and I like the flowers. Wow! this is gorgeous Sassy!! 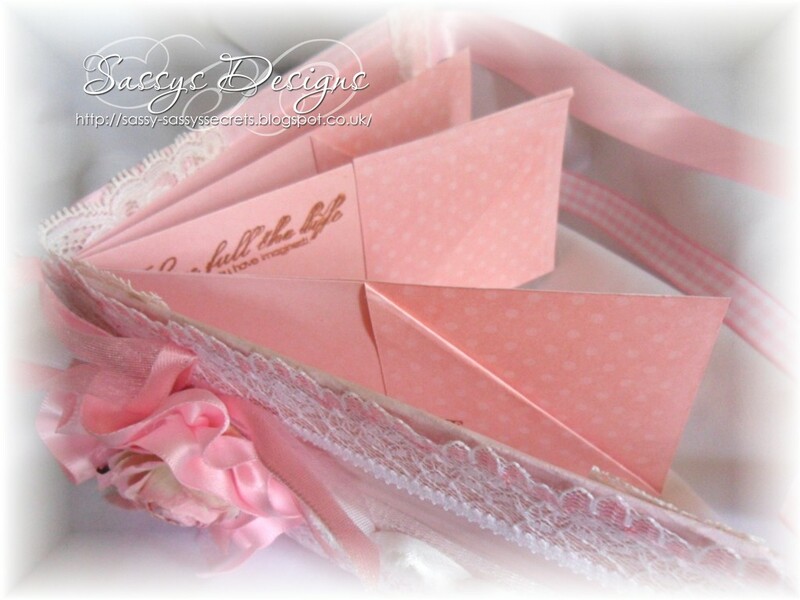 I love all the lace and ribbons - it's So pretty!! Hi Sassy! 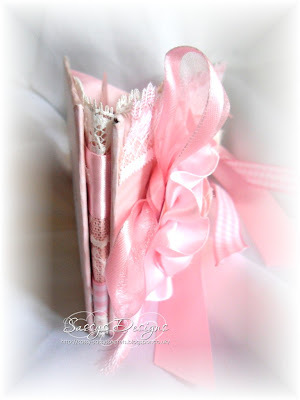 this is such a pretty, pink and frilly book! 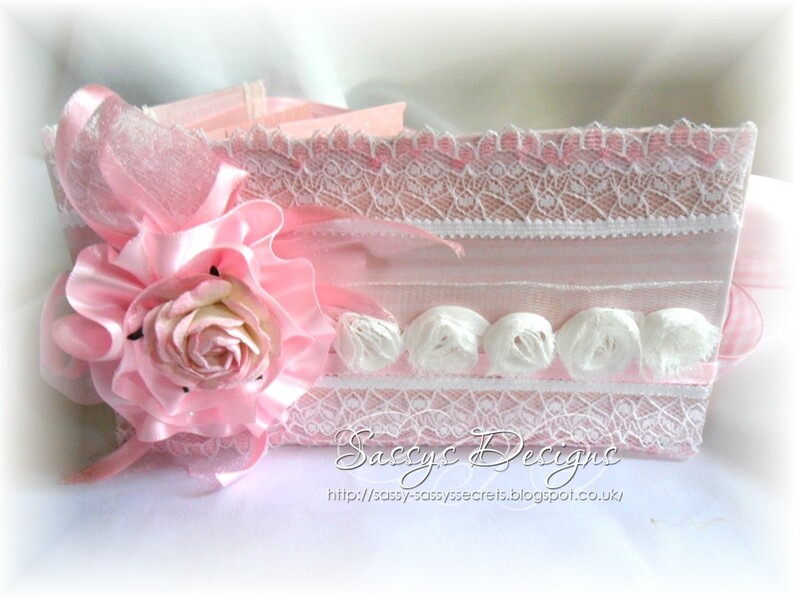 I love all of the lace and that GORGEOUS FINISHING PINK FLOWER! You have created a lovely treasure! I hope that you have a great night! Sassy, your book is beautiful. So girly. Love it! Have a good day, doll! only jokeing... HRH thinks it's a wonderful wonderful wonderful booklet in pink and it looks really lush! Been gone a day or two and look at the beauty I miss! This card is so, so lovely! There is not one thing on this card book I don't just love to pieces! I love the flower encased in the ribbon flower, and the little white flower lace - just everything! Your friend will treasure this along with all those who must treasure what you make and send to them!